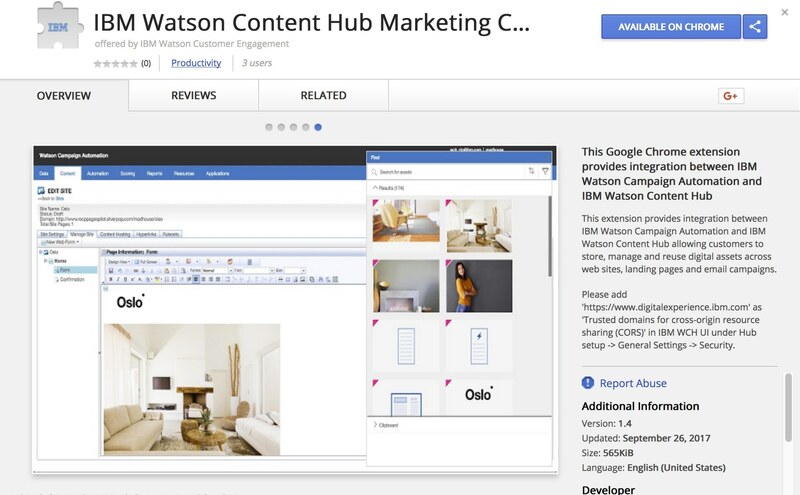 IBM® Watson® Content Hub is a cloud-based content management system (CMS) that offers AI services to help you build engaging digital experiences. It allows you to build rich web experiences easily and to content-enable applications, billboards, embedded devices and more. 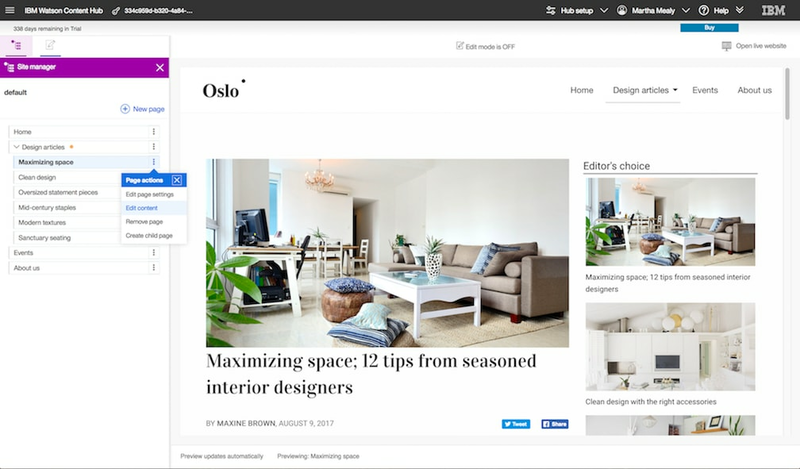 An intuitive UI lets marketers work with content and websites easily, making updates fast and fuss-free. Rich APIs let developers place content wherever it is needed to provide consistent brand experience across all channels, and our zero-configuration, embedded CDN ensures high performance and global scale. 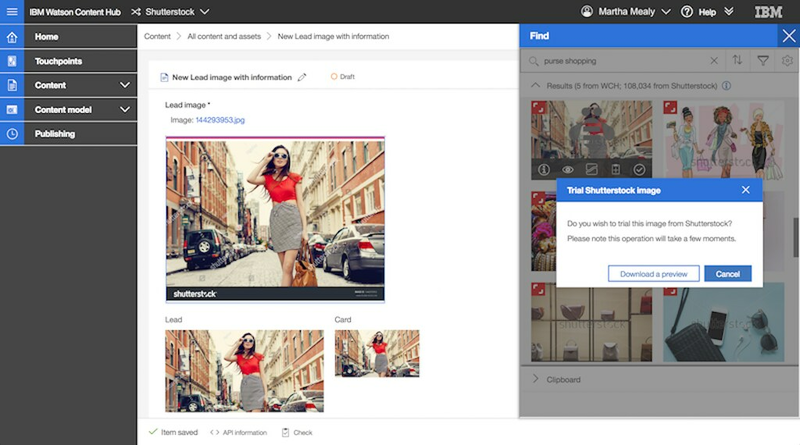 Watson Content Hub customers now have instant access to one of the world’s largest collections of professional creative assets and an intuitive editor through a new partnership between IBM and Shutterstock. Learn how you can save time and money creating beautiful and evocative digital experiences. 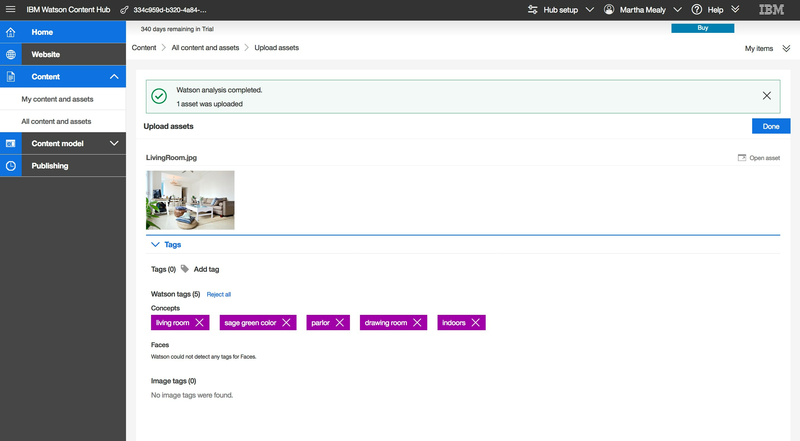 Collaborate using a single content repository for a consistent brand experience.